According to the terms and conditions of the contract, the subject of audit is: ballot counting software, software for voters, election web site and other technical infrastructure related to e-voting. Through this, the RIA wants to make sure that there are no vulnerabilities in the system or applications which would make it possible to see or change the voting results or otherwise manipulate the system. The security examiner must draw up a report on security threats in which the potential hazard scenarios are highlighted and suggestions on how to correct the errors are provided. The testing is organized by the RIA before all elections, using the expertise of various experts. “We can not talk about the results of the earlier security tests, because this information is confidential in terms of security. As far as I can say, the current testing period is around one month, and it also leaves enough time to ensure that if there are any bottlenecks or security problems we will have time to fix them.” said RIA spokeswoman Helen Uldrich. Indeed, the results of the penetration tests are kept secret. The terms of the procurement stipulate that at the end of the test the reports must be submitted digitally signed and encrypted. Security tests are performed in a test environment and if necessary a secure channel for testers can be created. 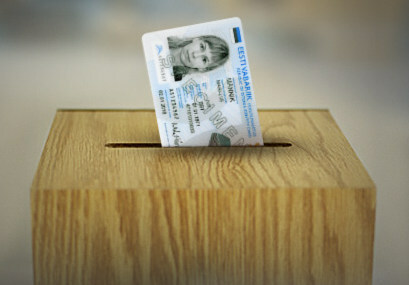 The i-voting environment is open only to computers with specific IP addresses that are notified to RIA. Penetration tests were carried out by Clarified Security from Estonia and the worldwide Finnish company Nixu, whose work resulted in detection of two errors in the new system. According to specialists, this is not something tragic, but part of the normal software development. This entry was posted in Internet Voting on July 31, 2017 by user469294. You can participate as a speaker (submitting an abstract+delivering a presentation) or simply join our wonderful audience. Speakers are requested to submit a 1000-word abstract. This entry was posted in Workshops and tagged Alessandro Borrello, Alexander Mois Aroyo, Anna-Maria Osula, Anne Veerpalu, Ayden Aba, Aykan Inan, Belgin Tastan, Ben Agnew, David Hubczenko, Georgios Pilichos, Harish Gowda, Jackson Virgo, Julija Terjuhana, Kärt Pormeister, Kristjan Kikerpill, Lachlan Gunn, Lauri Almann, Maarja Toots, Madis Metelitsa, Maris Männiste, Matt Reynolds, Muhammad Imran Khan, Nicolas Mayer, Olaf Maennel, Ralph Echemendia, Richard Matthews, Sioli O'Connell, Somaly Nguon, Sten Mäses, Tobias Eggendorfer, Xingan Li, Yuval Yarom on July 4, 2017 by user469294. (31) The provider of certification service that enables digital identification and digital signing with the certificate which is entered in the documents issued on the basis of this Act is the provider of vital service specified in clause 36 (1) 8) of the Emergency Act. In practice, at least currently the new status does not introduce significant new requirements, since for SK as a qualified trust service provider the operational requirements set by law were quite high anyway. This entry was posted in Critical Information Infrastructure, Electronic Identity on July 3, 2017 by user469294.